*Disclaimer: I am a part of Mambo Sprouts blogger program. I was sent these probiotics and compensated by Mambo Sprouts in exchange for a review. Opinions are 100% my own. Eek! We are definitely in the thick of cold and flu season. Our house has been hand off of illnesses from Thanksgiving until now. One of us will get sick and as soon as we start to feel healthy again, BOOM! Illness takes its next victim down. Will we ever be healthy again? Right now our daughter has walking pneumonia (sad face) and it looks like our son is the next one to fall with a croup like cough. Help! 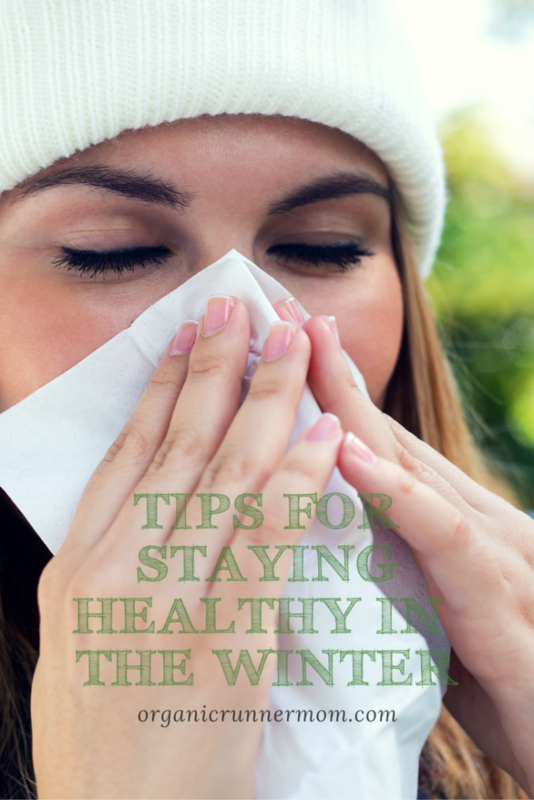 What is your families best defense during cold season towards trying to stay healthy? Get enough rest. Getting enough sleep is an important defense against getting sick. Your immune system is much stronger when your body has had adequate rest. This can be hard to do when you are traveling (like Organic Runner Dad), or training for a marathon (like me training for the Boston Marathon) or like my kids who are busy at school and then with extracurriculars like skiiing, cross country skiiing, swimming and Math Club. But sleep needs to be a priority! A healthy diet! Dump the junk. Eating healthy and whole foods (organic whenever possible) will keep your body nourished and filled with energy to get you through the day. Take a probiotic (like PB8 probiotic supplement for digestive health) to promote digestive health. Move! Exercise can help keep your body healthy in a variety of ways that can promote overall wellness. 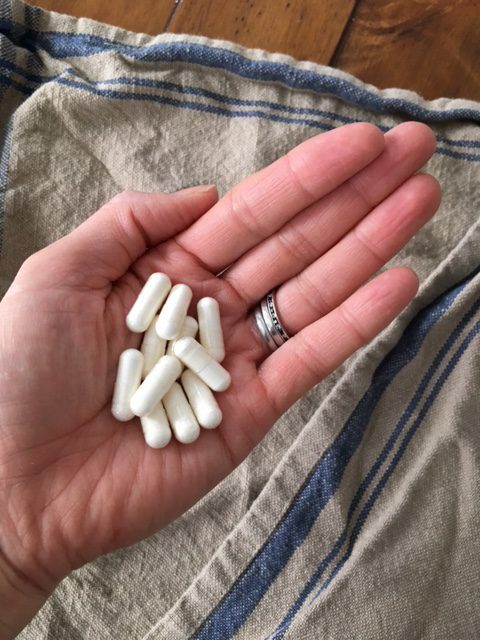 Gut health and digestive health are so important to overall health so taking a daily probiotic to support digestive healthy is one of the ways to help protect yourself from future illness. Also, along with sickness often come antibiotics. We all know the havoc that is brought on to digestion after going through a round of antibiotics. Not only do they help you to get well again but the antibiotics do a pretty good job of killing of the good bacteria that you need in your stomach I have gotten used to taking daily vitamins and supplements to improve my overall health as I also need to take a B12 vitamin as I recently discovered that I was B12 deficient. Now I take PB8 Vegetarian probiotic capsules as well. PB8 probiotic vegetarian capsule supplements contain no gluten, eggs, milk, peanuts, tree nuts or soy which is great for allergy sufferers! Upon manufacture these supplements contain 14 billion Lactobacillus and Bifidobacterium bacteria which does vary as time goes on. The bacteria in the PB8 supplements work to help support your immune system during a time when the germs are bombarding us everywhere! If you are considering a probiotic for yourself, PB8 Probiotic is one that I would consider as it is easily digestible, vegetarian and packed with a good bacteria punch! 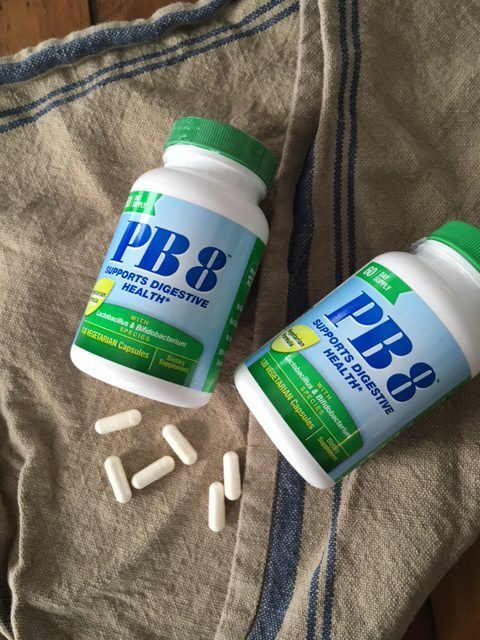 Now you have a chance to enter to win 6 bottles of PB8 Probiotics to support digestive health. All you need to do is to enter the giveaway below and to share this giveaway with a friend! How do you and your family stay healthy during the winter? Let’s just say my diet needs an overhaul ! But I am pretty good about taking a daily probiotic . Great post !! A healthy diet, movement, and washing my hands are key for me. Washing my hands has become a little less important now that I’m not in NYC riding the subway, but it’s still important if everyone around you is sick. Nicole @ Fitful Focus recently posted…The Boyfriend Chronicles Is Back! I’m all about sleep and hand washing. I’m always amazed at how much better I feel after a good sleep. I’ve never taken a probiotic pill before interesting! I have heard (and strongly believe!) that being outside is actually better for staying healthy than being sheltered inside (in a warm place). Being outside gets all that fresh air into our bodies. I have been sick this past week, and have been inside a lot this month because of the ice,etc. I don’t think it’s a coincidence. I red to make sleep a bigger priority. Lack of sleep is starting to take a toll on me. My youngest is coming down with a head cold so I think we’ll be resting this weekend. I used to take probiotics. I should start doing that again. I’m also guilty of not getting enough sleep. Gah… Early bed tonight!! We do ACV with local honey and lemon juice. What B12 are you taking? I was recently diagnosed with the same thing. I just switched from a pill to a spray in hopes that I’ll be more consistent with that. I take a lot of vitamin C and wash my hands a lot, although somehow I am sick…..could def use some probiotics. Mary Beth Jackson recently posted…January Runfessions- going commando? I take vitamins and try to exercise each day. I take probiotics everyday these sound great I would love to try them. Lots of Vitamin C from fruits and vegetables, regular exercise, water and tea, and vitamins! I take a daily vitamin, hand wash often and get enough sleep. We eat balanced meals, take vitamins and stay active. We stay healthy by drinking lots of water, getting plenty of sleep, practicing good handwashing and exercisng regularly!